Thanks to the incredible work of the likes of Pangu and TaiG recently, the jailbreak scene has continued to thrive, and during the past few weeks and months, we’ve featured some pretty epic tweaks here for our readers to check out. But while the newer tweaks have really supplemented the experience of using iOS 8 as a whole, the rebirth of older, much-loved tweaks has been just as welcome, and with Auxo having revolutionized multitasking on jailbroken devices for many a time now, developer A3Tweaks has just teased an updated version on Twitter. 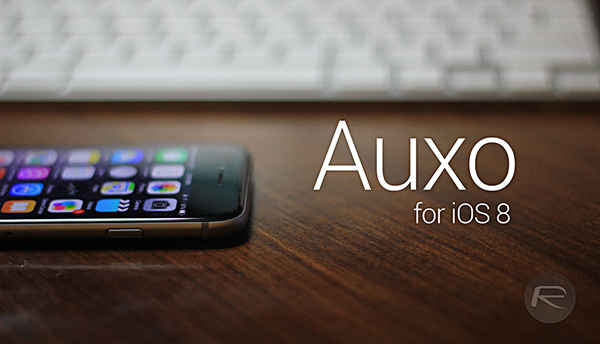 If you’re not familiar with Auxo, perhaps a little background information is in order. Back in the olden days of iOS, multitasking on Apple’s platform was, as you’ll probably recall, almost non-existent, with users having to deal with a secondary barrage of icons to those on the home screen. Auxo came along and brought some very welcome finesse to the situation, adding a sizeable preview to each app in the multitasking menu while also allowing users to remove all running apps in a matter of two seconds. Zoom forward to iOS 8, and Auxo 3 is almost upon us. Multitasking has greatly improved at stock level, and these days, is unrecognizable from what it was even two years ago. But the newly teased version of Auxo looks as sumptuous as it always has, with a neat, flowing ripple effect as the user navigates through the multitasking menu, and if your device has been jailbroken using Pangu or TaiG, this is yet another tweak that will probably prove hard to resist. As well as offering a brief demo of the tweak, the developer has indicated that the new version of Auxo will be ready before the year’s end, so will land somewhere over in Cydia over the next couple of weeks. As and when it does arrive, we’ll have the details right here, so stay tuned! What do you think of the new version of Auxo? Share your thoughts with us!